There has been a recent explosion of interest in spiking neural networks (SNNs), which code information as spikes or events in time. Spike encoding is widely accepted as the information medium underlying the brain, but it has also inspired a new generation of neuromorphic hardware. Although electronics can match biological time scales and exceed them, they eventually reach a bandwidth fan-in trade-off. An alternative platform is photonics, which could process highly interactive information at speeds that electronics could never reach. 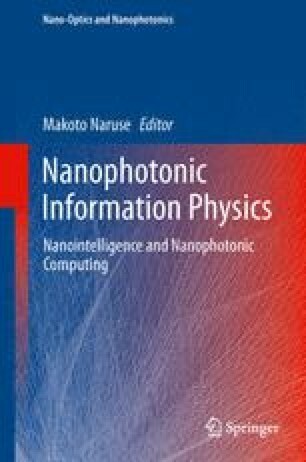 Correspondingly, processing techniques inspired by biology could compensate for many of the shortcomings that bar digital photonic computing from feasibility, including high defect rates and signal control problems. We summarize properties of photonic spike processing and initial experiments with discrete components. A technique for mapping this paradigm to scalable, integrated laser devices is explored and simulated in small networks. This approach promises to wed the advantageous aspects of both photonic physics and unconventional computing systems. Further development could allow for fully scalable photonic networks that would open up a new domain of ultrafast, robust, and adaptive processing. Applications of this technology ranging from nanosecond response control systems to fast cognitive radio could potentially revitalize specialized photonic computing. This work was supported by Lockheed Martin Advanced Technology Laboratory through the IRAD program, as well as the Lockheed Martin Corporation through the Corporate University Research Program. The authors also acknowledge the support of the NSF MIRTHE Center at Princeton University, the Pyne Fund and Essig Enright Fund for Engineering in Neuroscience. The work of M. A. Nahmias and A. N. Tait was supported by the National Science Foundation Graduate Research Fellowship (NSF-GRF). The work of B. J. Shastri was supported by the National Sciences and Engineering Research Council of Canada (NSERC) Postdoctoral Fellowship (PDF).